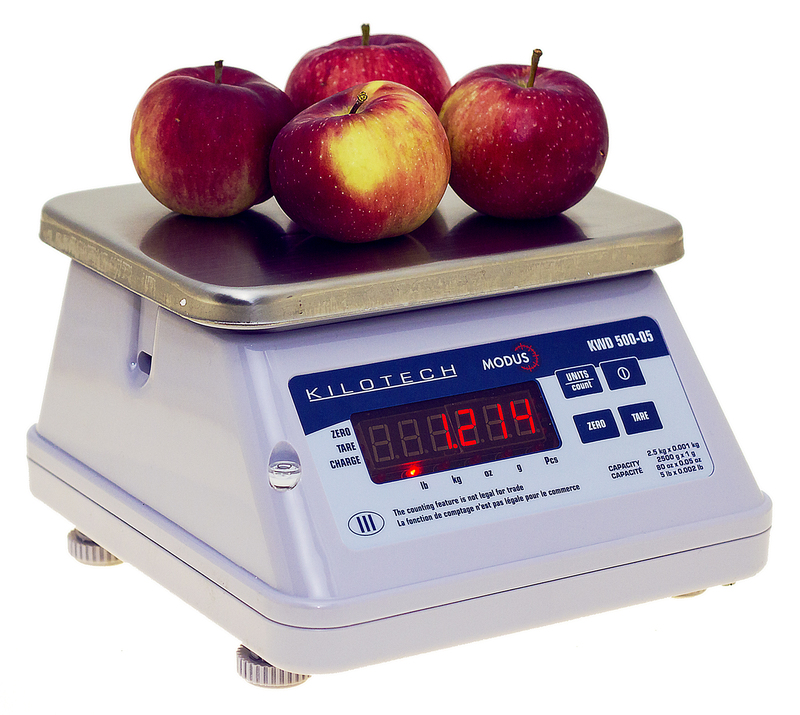 The Kilotech KWS SW Scale Series are ideal for the food preparation and industrial markets. Its applications are wide and varied as it offers four weight capacities 3kg/6lb, 15kg/30lb, 6kg/12lb, and 30kg/60lb as well as four weighing modes – grams, kilograms, pounds, and ounces. The scale also has a check weighing function HI/LO/Target and a secondary counting scale function. The Kilotech KWS SW has a sturdy design with a low profile platform, convenient removable large stainless steel platter, and a sturdy ABS enclosure which ensures easy clean up and long term durability. The KWS SW Series Electronic Digital Weighing Scales are well suited for front line sales as visual accuracy is ensured with its large LCD display for both operator and customer. The helpful built-in level bubble and adjustable feet, help the operator achieve a stable and level footing for the scale for good weighing accuracy. The scale operates with a rechargeable battery up to 60 hours with a low battery indicator feature and an AC power adapter is included. 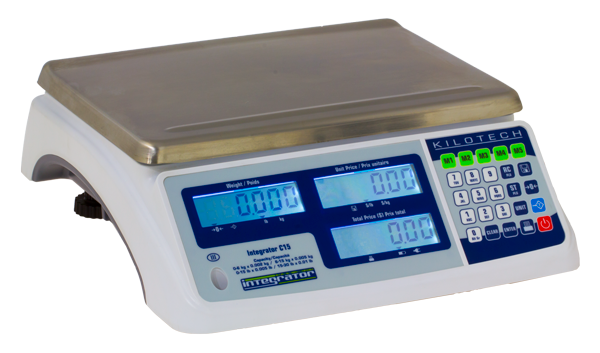 The Kilotech KWS SW Series Scales are easy to transport to different areas in your store, kitchen, warehouse, parts shop, or any place of business that needs a digital scale. 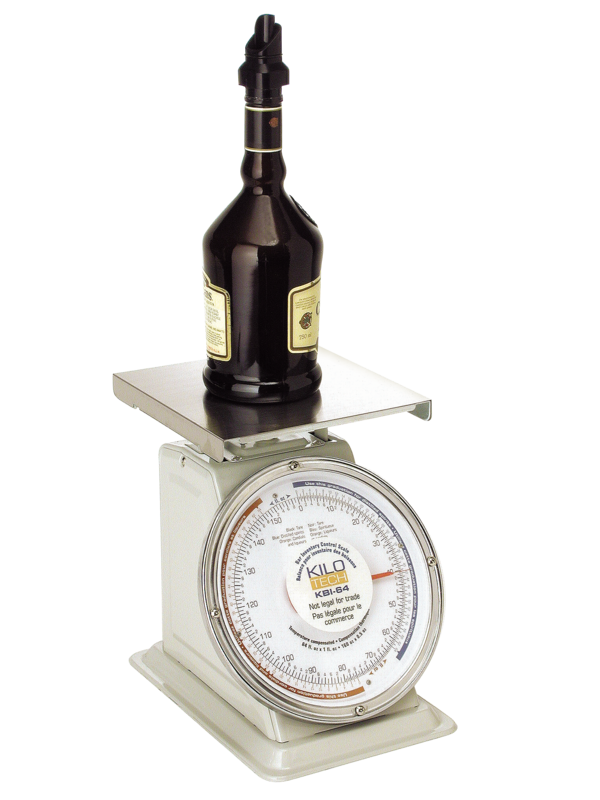 The compact size of the scale also makes it ideal to be placed on crowded counters. 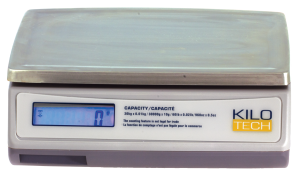 The Kilotech KWS SW scale series has many practical uses in portion control and industrial applications where an accurate scale is required. The simplicity of the Kilotech KWS SW series is what makes the scale perfect for the applications it was designed for. 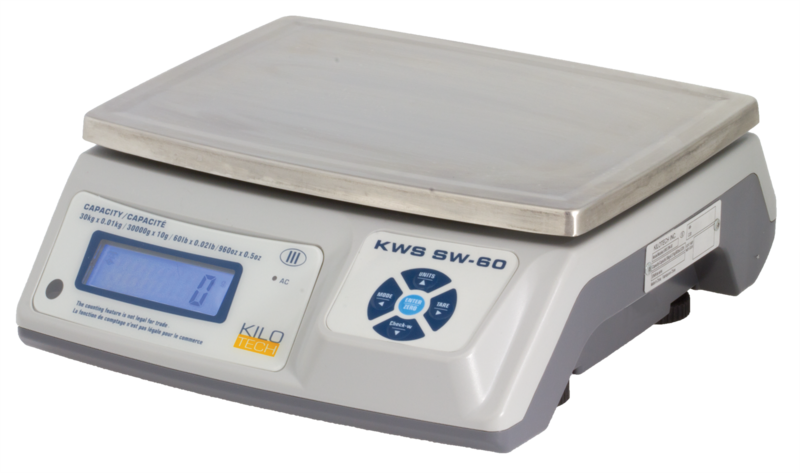 The affordable price makes the Kilotech KWS SW Scale the choice of many retail and restaurant owners. The KWS SW Scale Series is fully certified and approved Legal for Trade by Measurement Canada.